Your parents have taken care of you for so many years that it could be a good idea to help them plan for retirement. It does not mean you have to save money for their retirement but it means looking at some tips to help them plan better. If you are doing really well then you can consider the idea of giving them retirement money. However, there are other ways to extend help and show your love for them. 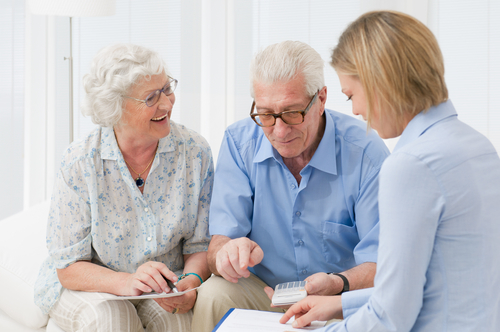 There are things you can do to help your parents plan for retirement now so you do not have to frantically do it as they get closer to retirement. One of the first major expenses you will encounter in life is paying for higher education. Forbes shares that 2019 has the student loan pegged at $1.5 trillion. This is one of the biggest debt payment on the shoulders of young consumers which they have to pay for a very long time. This is why it pays to start saving for it early. You can choose to save anything you earn from part-time work for college expenses. There are also parents who set up a college fund for their children so you can ask other family members to contribute to that. It can be as a replacement for a birthday gift or even for other milestones in your life that you celebrate. The more you save for college expenses, the more you are giving your parents the chance to plan for retirement. For one, they do not have to use up their retirement fund to pay for your college expenses. The cost of attendance has been on the rise year on year that they could be forced to dip into that account earlier than they have planned. One of the tips you have to remember when starting college and trying to look for ways to pay for the cost of attendance is to use free money. You can save as early as you can but there is a good chance that what you have saved up might not be enough for higher education. It can lower down the amount you have to pay but you still need to pay a lot. The good thing about this is that there are student loans you can use to pay for college. Some are pretty easy to apply for especially private student loans. There are Federal student loans as well and you need to consider those first before taking out a private loan. US News also shares that grants are the most sought-after financial aid for college. However, you need to understand that there are sources for free money you can use to offset some of your college expenses. There is a number of various scholarships and grants you can look up to help you pay for a college education. One thing you need to have is time determination to look for these sources of free money and apply for it. You will never know the answer if you do not try. One of the many things your parents have that you don’t is their stellar credit score. They could have been taking care of it for a long time that the now enjoy many financial perks. One of them is having a low-interest rate for loans they apply for. That being said, you might ask your parents to co-sign a loan you are taking out so you get to pay for a low-interest rate as well. One thing you have to understand with this set-up is that your parents will be on the hook if you start missing payments. The credit score they took care for so many years can suddenly dip if you miss a payment or two. Worse, if you default on the loan, not only will your parent’s credit score go down, they will be responsible for the repayment of that loan plus fees and other charges. They could also start receiving collection calls. If you want to help your parents plan for retirement better, you need to hold off on the idea of getting them to co-sign any loan. It can be for college, getting a house, buying a car, or even to start your own business. What you can do is to start building your own credit score so by the time you need it, you already have one you can use. More often than not, you would think of your parents when you are having financial trouble. You know that they have been saving for retirement so they must have some cash lying around in the bank. That being said, you could be tempted to give them a call, explain the situation you are in, and then ask for money. The sad part of this scenario is that a lot of parents would readily lend their retirement money for their children. They never stop being parents until their last breath. This is why you need to understand that they can help you in a lot of ways. Asking to borrow the money they saved up will not help them plan for retirement any better. One thing you can consider is talking to them and asking for pieces of advice with just about anything. Remember that they have seen you grow up and might know a lot more about you than you know. They also have a lot more experience in life so they the ability to analyze specific challenges you are facing using their life experience. Your parents can help you with a lot of other ways. One of the best ways to help your parents plan for retirement is to have an active role in keeping them healthy. The healthier they are, the more they prepare their body for their retirement years. It will help them save money which would otherwise be used for doctor visits and even in buying over-the-counter medications. One thing you can do is help them maintain an active lifestyle. Make sure your parents get enough exercise in a day to keep their body healthy. You can join them in taking up exercise classes, get them into one, or introduce them to groups that can help them. The important thing is that they get to exercise their body often. Another aspect of this is keeping a close eye on their nutrition specifically the food they eat. As they get older, your parents would need to eat healthier to help their body cope with aging. It would be ideal if they have supplements to help them get their daily dose of vitamins. Having a healthy body into retirement also gives them the chance to enjoy that part of their life. There are a number of ways how you can help your parents plan for retirement better in order to give them the chance to enjoy their golden years. You also need to know that the better their retirement funds are, the lower the chance that you have to dip into your own savings to help out. Helping your parents is a win-win situation not only with your finances but also with your overall relationship with each other.